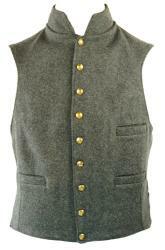 C&C Sutlery offers Military & Civilian Vests for Civil War and Indian War Eras. The C&C Sutlery CS Enlisted Vest has a wool front and a black or brown cotton lining back. It is a 9 button front of small CSA buttons with a standing collar. The front of the vest features 3 exterior fixed flap pockets; 2 at the waist and one on the left chest. The back is adjustable with a belt and buckle. The vest is lined and has no inside pockets. 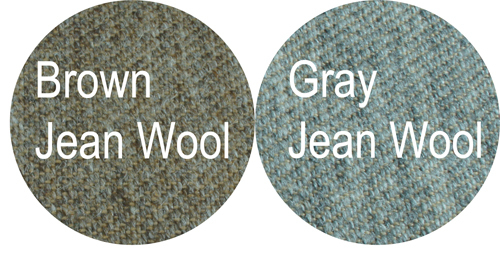 The vest is available in a variety of wool colors. Sizes smaller than 38 and larger than 48, Tall and Short, and all wools other than Medium Grey are custom made specifically for you and is subject to a MINIMUM 20% restocking fee. Please allow AT MINIMUM 4-6 weeks for delivery. Click to read our RETURN and EXCHANGE Policy. The C&C Sutlery CS Enlisted Vest has a Jean Wool front and a black or brown cotton lining back. It is a 9 button front of small CSA buttons with a standing collar. The front of the vest features 3 exterior fixed flap pockets; 2 at the waist and one on the left chest. The back is adjustable with a belt and buckle. The vest is lined and has no inside pockets. 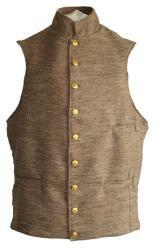 The vest is available in Brown and Gray Jean Wool. 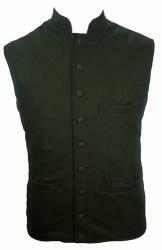 The C&C Sutlery CS Officer's Vest has a wool front and a black or brown cotton lining back. It is a 9 button front of CS Staff buttons with a standing collar. The front of the vest features 3 exterior fixed flap pockets; 2 at the waist and one on the left chest. The back is adjustable with a belt and buckle. The vest is lined and has no inside pockets. 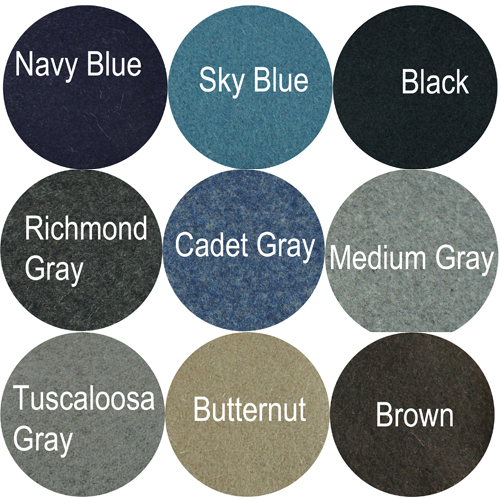 The vest is available in a variety of wool colors. 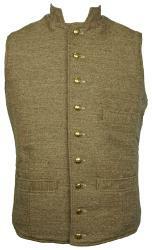 The C&C Sutlery CS Officer's Vest has a Jean Wool front and a black or brown cotton lining back. It is a 9 button front of CS Staff buttons with a standing collar. The front of the vest features 3 exterior fixed flap pockets; 2 at the waist and one on the left chest. The back is adjustable with a belt and buckle. The vest is lined and has no inside pockets. The vest is available in Brown or Gray Jean Wool.